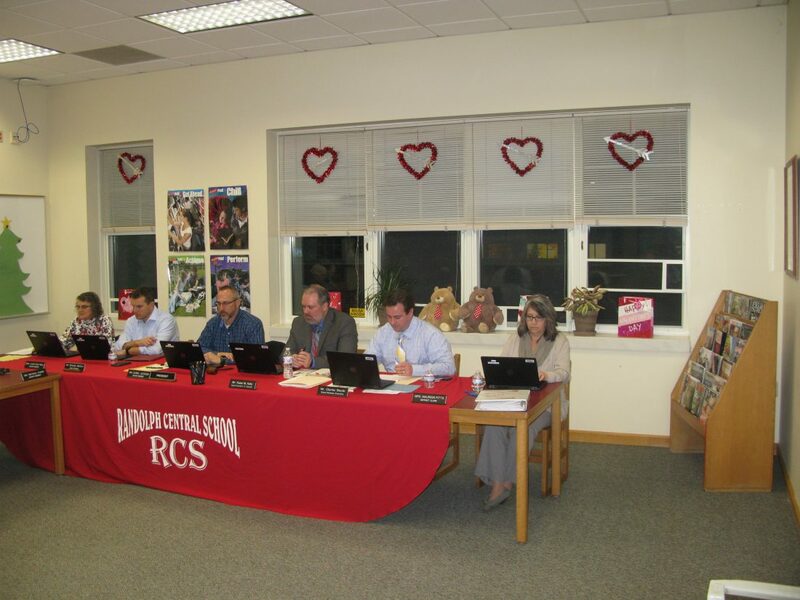 RANDOLPH – After the theft and break-in on the grounds of Randolph Central School in January, the board addressed the measures that have been taken by it and the affected parties. Randolph superintendent Kaine Kelly said that during a meeting on Jan. 15 both RCS, Randolph Academy School and the Randolph Children’s Home agreed on new procedures to ensure safety of RCS and the Children’s Home, which is operated by New Directions Youth and Family Services Inc.
“It was a very productive meeting, we (RCS) walked away from that meeting with some immediate action items that we’re already acting on,” Kelly said. In addition, Kelly said the RCS Steering Committee will also meet on Feb. 13 to decide what needs to be addressed in terms of security. The meeting was the result of an incident that took place Jan. 7. During that time, three teenagers from the Children’s Home broke into the main school building and transportation garage before stealing a school bus that was later located on Clinton near West Eighth Street in Jamestown. During the incident a window of the garage was broken and a door to the main school building was pried open. Two boys, 15 and 17, were sent to East Ferry Juvenile Detention Center in Buffalo. The third, a 15-year old girl, was sent to the Cattaraugus County Jail. In the aftermath of the incident, concern was raised at the January board meeting that there were no alarms on the grounds. “I was surprised that no one knew that they thought we had an alarm on the school,” Vice President Julie Milliman said at the time. Kelly also said progress is being made on how alarms can be added in the school. Kelly described that the school would have the ability to decide which camera or cameras to use. In addition, RCS can be put on timers and when motion is detected in the armed area alarms will be set off. “As soon as they pick motion they can set off audible alarms, they can alert police, staff, and you can choose however you want it,” Kelly said. Genetec is a company offering video, internet, and auto plate licensing identification products. In addition, there was also concern about how there was no notification of the three teenagers not being at the Children’s Home. Kelly said the Children’s Home has taken measures to ensure the safety of the school and the community in the event of an incident like January’s. One Call Now is an emergency response system that alerts subscribers to their system when there is an immediate threat in the community. Notfications can be sent in the form of text messages, phone calls, emails or push notifications to designated contacts. Contacts are selected from digital data or spreadsheet files or can be integrated or exported into any existing subscriber’s database program. Subscribers can also choose who they want to send the message to as well as select how they want their message sent. Additionally, One Call Now includes text-to-speech conversion and real time updates. The service is also available through a free smartphone app for subscribers. Kelly also said an district administrative team meeting will be held today to discuss what options are available to the district.